San Diego Comic Con has officially begun, with the masses eagerly flocking toward the San Diego Convention Center for an exciting weekend of full frontal nerdity! 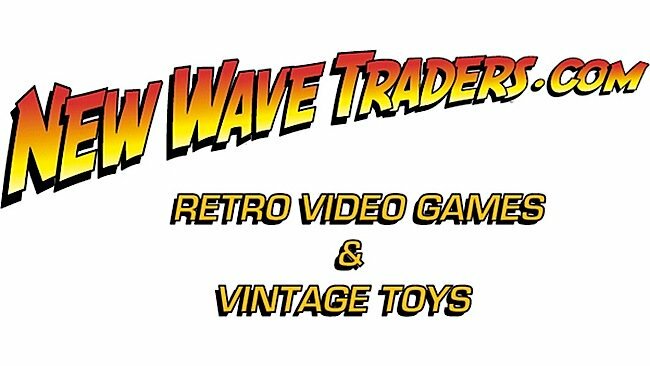 Along with all the announcements, reveals and teasers to be shown this weekend, there will also be a huge selection of convention exclusives available over the next few days, and today we'll be taking a look at one of them in the form of the DAH-003SP Batman v Superman: Dawn Of Justice Superman Special Color Figure from the fine folks over at Beast Kingdom. The Special Color Superman is a convention exclusive available for purchase strictly through Beast Kingdom. He is crafted in 1/9th scale and stands 7.2" in height. He is the third DC Expanded Universe exclusive that Beast Kingdom will have available at the show, along with the previously revealed Black Suit Superman and Special Color Batman, and was created in homage to the character's 80th anniversary. Created by Jerry Siegel and Joe Shuster, Superman would make his official debut in the pages of Action Comics #1 back in the spring of 1938. 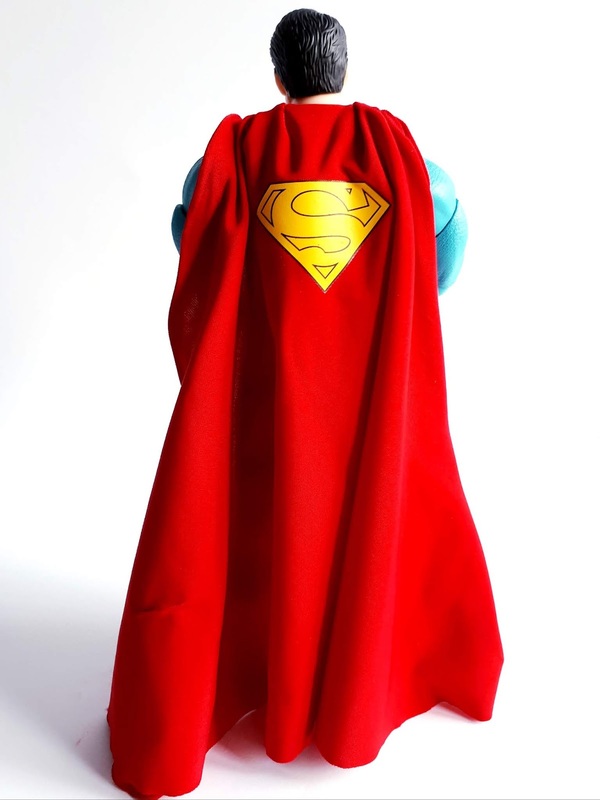 Over the course of the next eight decades, the Last Son Of Krypton would fight for truth, justice and the American way. He'd join the Justice League, battle countless intergalactic threats ranging from Brianiac to Doomsday, and stand as a beacon of hope throughout some of the darkest times in human history. He's appeared in comic books, animated television shows, and countless big screen blockbusters. 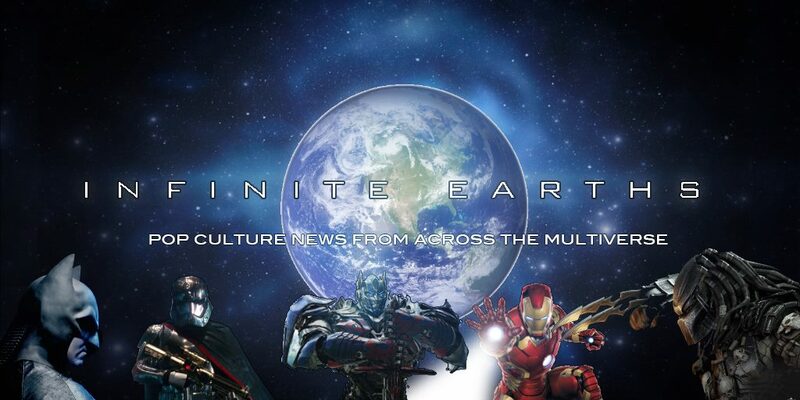 Superman has continued to stand the test of time and introduce countless generations of fans to the unique and fascinating world that is the DC Universe. And, he's showing absolutely no signs of slowing down anytime soon. 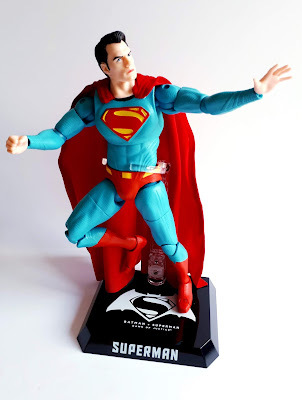 Beast Kingdom has done an excellent job in creating their special 80th anniversary Superman figure, taking their base Batman v Superman: Dawn Of Justice Superman and giving him a new look that is wholly vintage Action Comics. The figure sports slick black hair and a paint scheme that is more classic newsprint than what we're used to seeing on a figure such as this. The determined eyes, pursed lips and unmistakable chin dimple from the previous release all remain, but in a slightly more stylized paint scheme than Beast Kingdom's previous releases. It's certainly one of the more unique looks that we've come across, but there's no mistaking this figure for the Man Of Steel and we're quite certain that fans will appreciate the retro 30's look that Beast Kingdom was going for here. Moving on down the figure, we come to the absolutely gorgeous suit. One look at this thing, and you're certain to be reminded of Christopher Reeve's timeless portrayal of the character that began back in 1978. 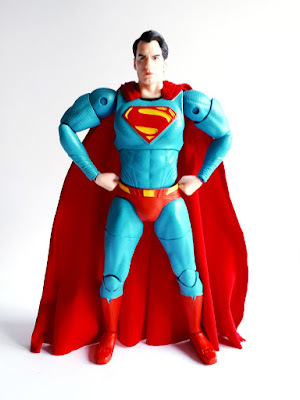 The suit is a brilliant blue and features the classic red trunks and boots that fans have associated with Superman over the last eighty years. Adding to the beautiful brightness of this piece is the House Of El emblem adorning his chest. Like the rest of the figure, it's done up in those classic red and yellow colors we all know and love - and is quite striking to behold with the naked eye. The paint applications spread throughout are all beautifully done. Everything evenly applied, and features some very nice subtle dry brushing that aids in helping some of the extra sculpted details throughout the body really stand out. The line work is very clean and once again, there are absolutely no issues with bleeds, smears or smudges to report. 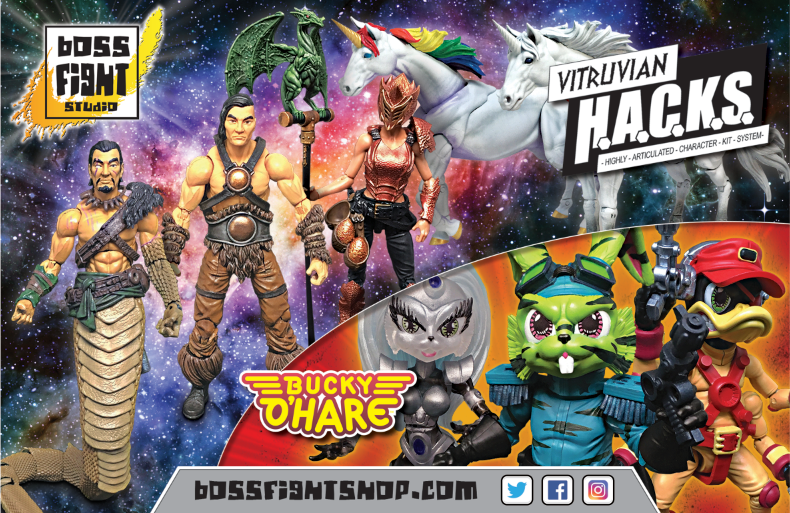 Beast Kingdom should be applauded for the amount of care and time that they've put into crafting these convention exclusives - it really shows that they weren't rushing to get these figures ready for Comic Con. The overall sculpt of the figure is also top notch. As we mentioned above, there is some very nice sculpted detail present throughout the body of this figure. These include impressive pectorals, cut abdominals and rippling muscles that are crafted to look more real world despite the figure's obvious classic inspirations. The proportions are accurate, likely something that can be attributed to the fact that this figure does use Henry Cavill's Man Of Steel as its template. Superman's cape is also included here, and Beast Kingdom has once again created something truly beautiful. As with their previous Superman figures, Beast Kingdom has crafted the cape out of fabric. It's soft, billowy and even features a wire within that allows fans the option of custom posing. 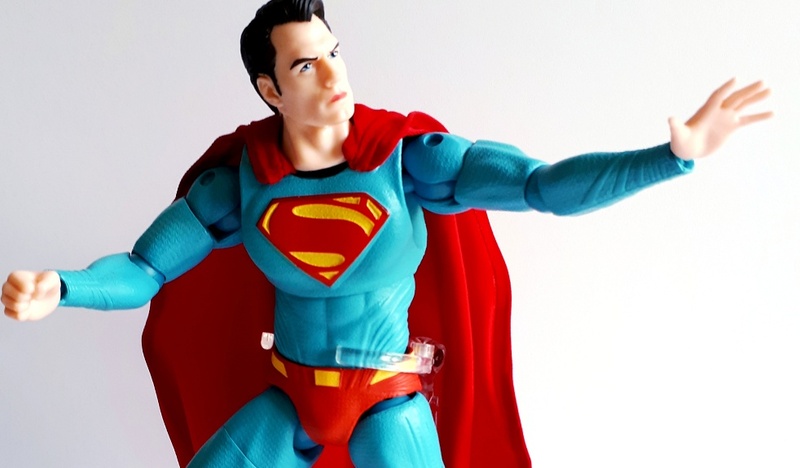 It's one of the standout points that make up this action figure and, given the inspiration behind this one, it's red in color and features a yellow House Of El emblem on the reverse. 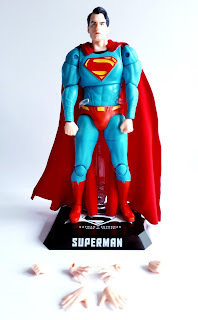 As one has come to expect, Beast Kingdom has loaded up this Superman exclusive with articulation. The classic character features 24 moveable points, offering numerous posing options for fans and collectors alike. Fans will be able to locate movement almost everywhere on this piece including the head, neck, shoulders, biceps, elbows, arms, wrists, midsection, waist, thighs, legs, knees, feet and toes. Given that this is a high quality Comic Con exclusive, fans should not be surprised to learn that the joints are nice and tight. They can be manipulated easily, and hold nice and strong even after repeated usage. The overall strength of the joints is something more that fans should appreciate about this piece, as it looks to offer a long shelf life without having to worry about joints loosening over time. However, as we've stated about the previous two releases in this assortment, the appendages do have a tendency to pop off rather easily. Now, given that all these pieces are mounted on ball joints, they do snap back into place easily, but we'll admit it can be somewhat inconvenient to have pieces popping off when moving the figure around. Regardless, this is a strong figure, and this flaw is really nothing to get too excited over. 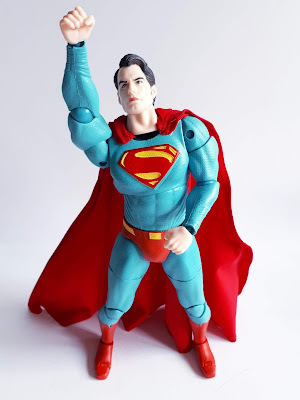 Beast Kingdom has also included a number of additional accessories with this all-new Superman figure. Alongside the figure, and just like the previously reviewed Black Suit Superman, they've also included three sets of interchangeable hands. They're nicely painted, and match the skin tone of the figure nicely. Aside from the regular set of holding hands that come attached to the figure straight out of the box, fans will also get a set of fists, and a pair of open hands as well. All of these are well painted, and can attach and detach to the action figure easily. Along with those six interchangeable hands, Beast Kingdom has also included a very nice display stand and a clear articulated arm. The stand is black, and features the logo for Zack Snyder's Batman v Superman: Dawn Of Justice. Interestingly enough, the initial promotional images for the piece released earlier last month showcased a Henry Cavill version of Superman in the classically coloured suit. Obviously, these images were of the unfinished prototype, but it's still interesting to see what may have been - still, the final product is certainly nothing to scoff at. As mentioned, Beast Kingdom has also included a clear articulated arm that will allow for added stability when posing and displaying. It's a really nice little extra to include with the figure, and even allows for fans to mimic some flight poses as seen on screen. The joint is ratcheted and holds nice and tight despite repeated use, and is a really nice quality overall. Everything come encased in a plastic baggie within the box, and everything comes to you in a dual layer plastic tray. This tray is, in turn, slipped into some very beautiful packaging. We get a stylized image of Superman on the front, and numerous stickers declaring this a limited edition. Everything is set against a blue skyline, and the original promotional images make up the reverse. We also must take this moment to thank Beast Kingdom for really putting some thought into the overall packaging design. 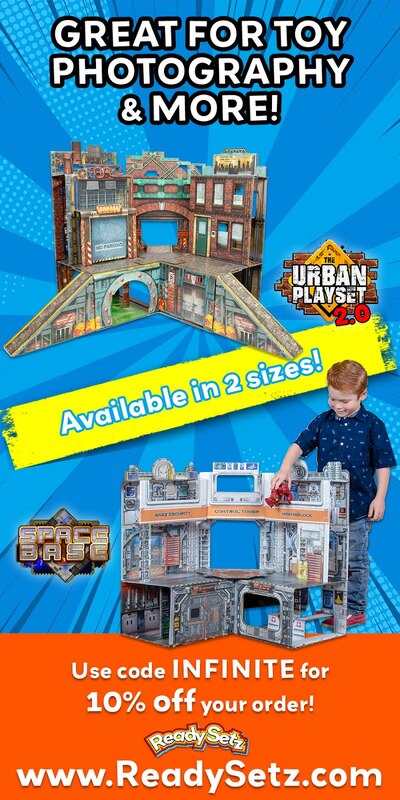 It's collector friendly in every sense, and gives fans the option to return the Man Of Steel back to his little cardboard and plastic dwelling with ease once your done saving Metropolis from the forces of evil. Everything stashes away very nicely once it has been removed, and it really makes us wish that more companies would follow in the footsteps of Beast Kingdom and elect for such sensible packaging. So, in conclusion, we were once again blown away by Beast Kingdom's latest San Diego Comic Con exclusive. 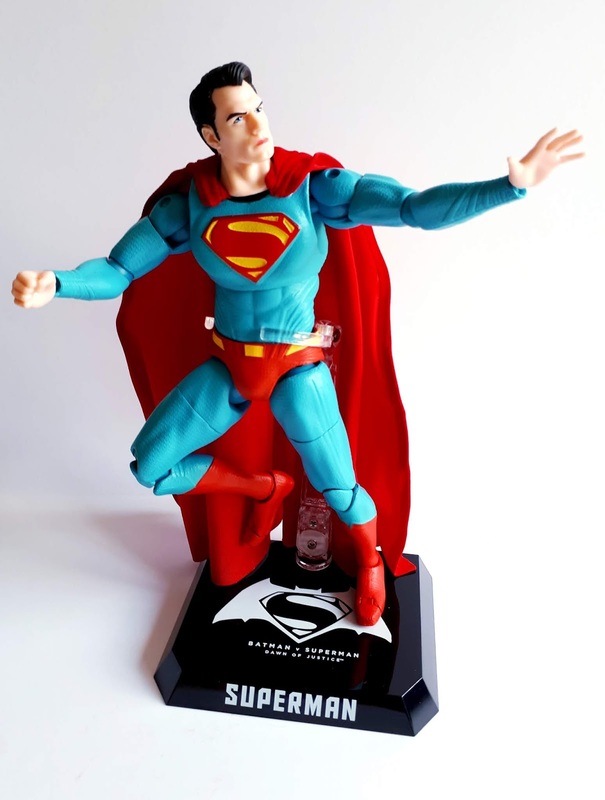 It was certainly an appropriate homage to the Man Of Steel's 80th anniversary, and one that we're sure many a fan will want to add to their collection. Additionally, the sculpting is beautiful, the paint and line work are absolutely flawless, and the articulation is both plentiful and strong! Fans should be quite pleased with everything that the final product has to offer. 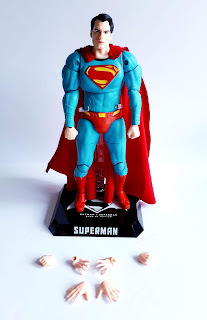 Once again, Beast Kingdom has knocked another action figure out of the park, crafting something that really speaks to the timeless legacy of Kal-El, the Last Son Of Krypton. Overall: "An impressive homage to the eighty year legacy of Superman." The DAH-003SP Batman v Superman: Dawn Of Justice Superman Special Color figure will be available for purchase through the Beast Kingdom booth at San Diego Comic Con beginning Thursday, July 19th, while supplies last!